After 24 years of ministry in Washington and California, God has graced Derek with the opportunity to return to Eugene to be pastor of the church that he was saved in. Derek is passionate about creating opportunities for those who are searching to make sense of their spiritual emptiness to discover the joy and peace that a relationship with Jesus Christ brings. Kathy grew up in Eugene until she and Derek were called to pastor in Washington and California. After 24 years, she is excited to be back and ready to follow wherever God leads her. Her passion is to lead people into a strong and deep relationship with Jesus where they find their identity and value in Him. Bruce grew up in Veneta, Oregon which is a small town just west of Eugene. His passion is serving youth and helping them grow, learn, and experience God's Love and he has worked with youth for over 10 years. In addition to serving as youth pastor at Living Hope Church, Bruce works with a local foster family. He and his wife Christina love serving the Lord and spending time with their daughter Madeline. Nikolaus is a home-grown "Eugenian" and grew up at Living Hope Church. He has always loved the Bible and has a passion for helping people draw near to God through teaching and prayer. He is currently working toward his Bachelor of Arts in Ministry Leadership at New Hope Christian College. He will graduate in May and is excited to continue ministering in whatever capacity the Lord leads. 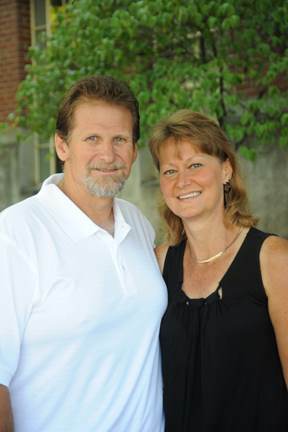 Debbie and her husband Dave have been part of the Living Hope family for nearly 6 years. They have 4 children and are blessed with 9 grandchildren. Debbie has been on staff at Living Hope for over 4 years. She is a certified Spiritual Director and her passion is meeting with people and discovering how God is working in their lives. She also enjoys gardening and a good mystery novel.